Indianapolis is the capital and largest settlement in Indiana, and the twelfth largest city in the U.S. Many people define Indianapolis as one of the most dynamically developing regions. 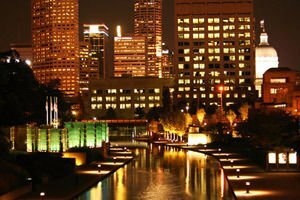 The city is among the favourite tourist destinations in the U.S. One of the events that attract thousands of guests is an American car race, called the Indianapolis 500. The Sports Forum is considered one of the most important motto events worldwide. Every year in late May (Memorial Day) Indianapolis Motor Speedway becomes a sports arena, attended by many fans. This and other similar events, mostly related to basketball tournaments, win Indianapolis the title of "Racing Capital of the World." Among the biggest attractions of the city is the Indiana Soldiers and Sailors Monument, located in the center of the American city. The majestic neoclassical monument, 87 meters high, is considered one of the emblems of the city. It was built early last century by a German architect in honour of veterans of the wars and territorial conflicts in the 19th century. At the base of the statue in Indianapolis, which is only 6 m lower than the Statue of Liberty in New York, is the Civil War Museum, telling the history of the city during the Civil War. To get to the top of the monument, you must climb 331 steps or use the elevator, which will cost $ 2. On top is an observation terrace, which reveals a great view of the city. The area around the monument has become a benchmark for other attractions in the city. It is called Monument Circle. Among the impressive buildings in the U.S. city is the Indianapolis City-County Building, where in fact, there are many local institutions. The building is among the highest in Indianapolis. It was built in 1962. An interesting fact is that after the construction of the Indiana Soldiers and Sailors Monument (1902), city government did not allow construction of buildings higher than the monument for more than half a century. In the 80s of last century in Indianapolis began the active construction of skyscrapers that now make up the basic outlook of the city. The highest building is the Chase Tower, located on Monument Circle. The building is 210 meters high. Its design is consistent with other remarkable historical buildings. 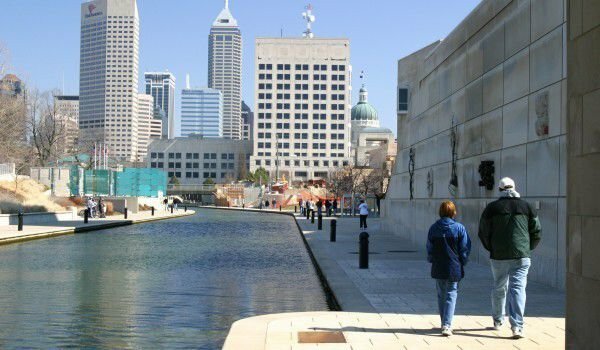 Then there is the Indiana World War Memorial Plaza, built in honour of veterans and victims of World War II. The majestic white building was erected on a beautiful green square, surrounded by five boulevards. This obelisk, combined with numerous other memorial buildings, won Indianapolis fame as one of the cities with the most honoured monuments after Washington, D.C. During the Civil War 75% of combat-capable men in the U.S. city were involved in the fighting. That's why Indianapolis is among the cities that give most victims honoured by their successors with magnificent monuments. Among the most beautiful buildings in Indianapolis is the building of the Indiana Statehouse. The magnificent building fascinates visitors with its brilliant architecture. The building of the Indianapolis-Marion County Public Library is also of interest to tourists. Good place for shopping and walks is the huge indoor shopping complex Circle Centre. There are over 100 different stores, on four levels and many places to eat and rest. Indianapolis cooking is very tasty. Trademark of the city is a sandwich with pork tenderloin as big as the plate in which you serve it. Most important is that the quality of products must be fresh or have just arrived from the farm. The population is about 2 million people. White River passes through the town. Convenient transport networks connect Indianapolis to Chicago, Louisville, Cincinnati, Columbus, Detroit, Cleveland and St. Louis.